Portland participants were somehow more energized on the second day of the forum than they were on the first day, which allowed our final forum of 2013 to end on a lively note this past Thursday. Participants fully engaged in the sector and state discussions and reported back to the group with sincerity and a refreshing level of humor. 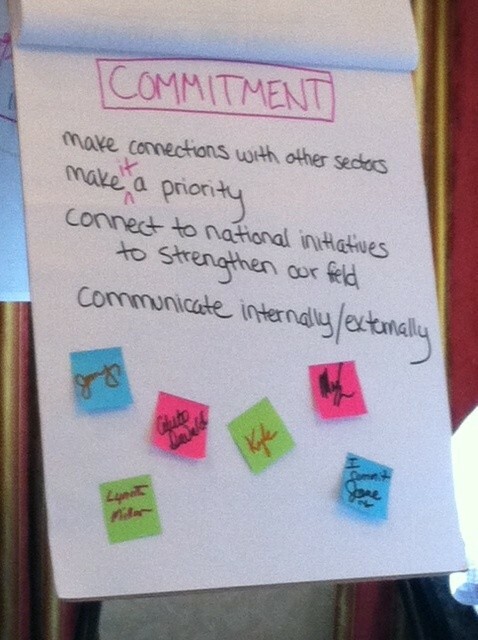 During one group activity, the museum sector demonstrated their commitment to advancing communication not only within their sector but across sectors by each signing their names on the Post-Its seen below. Our second forum was held in St. Louis a few weeks ago and it was just as lively as our Philadelphia forum. It was wonderful to have representation from a number of very enthusiastic emergency managers who now seem determined to incorporate cultural heritage into their state emergency plans. We have a new name and a new site! Previously US Culture Network, we are now officially The Heritage Emergency Partnership. Below is a brief description of our project. To learn more, visit our About page. Heritage Preservation received a Laura Bush 21st Century Librarian Program Grant from the Institute of Museum and Library Services (IMLS) in August 2012. The IMLS grant supports the development of statewide cultural heritage emergency networks by strengthening the relationships among state libraries, state archives, state museum associations, state historic preservation agencies, and state and federal emergency management agencies to more effectively prepare for and respond to disasters. The project began with an examination of the strengths and weaknesses of six existing statewide preparedness and response initiatives – the Alliance for Response, the Coordinated Statewide Emergency Preparedness (COSTEP) initiative, the Cultural Resources Emergency Support Team (CREST) project, the Delaware Disaster Assistance Team (DDAT), the Intergovernmental Preparedness for Essential Records (IPER) project, and the Regional Emergency Response Networks (RERN) program. The findings of this assessment will form the basis of three national forums attended by state delegates from each of the five communities of interest. The conclusions and recommendations that emerge from the forums will inform an action plan that will empower states, territories, and tribal nations to establish emergency networks. The overall goal of this project embodies Heritage Preservation’s mission- to preserve and protect our nation’s cultural heritage for future generations through innovative leadership, education, and programs. In August 2010, a survey was created and sent to the 85 participants of the Denver Alliance for Response Forum held at the Denver Public Library on September 25, 2009. 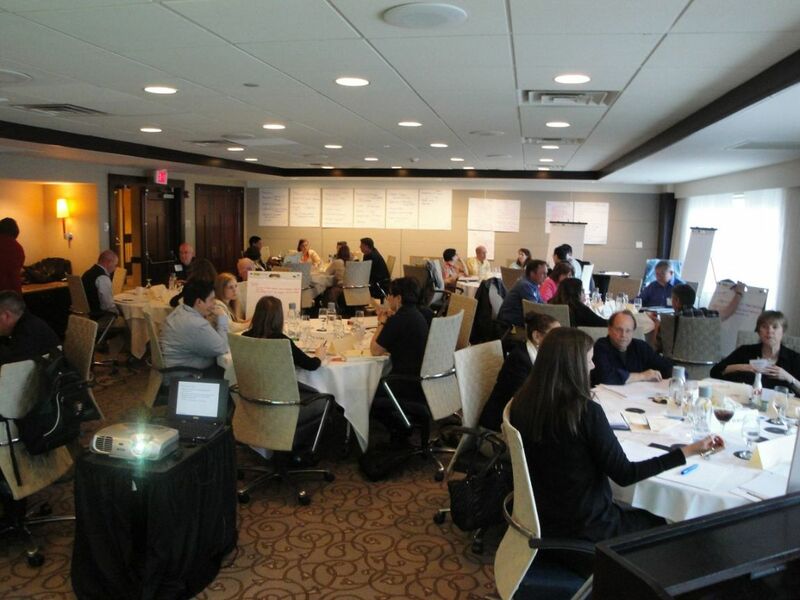 The AFR Denver Advisory Committee sent the survey to attendees and their organizations in order to discover what has happened since the forum. The results, reported here, have been shared with all attendees and advisory committee members to help in planning next steps. In conclusion, there is much more to do, but it appears as though the Forum had a strong and positive impact in the community. 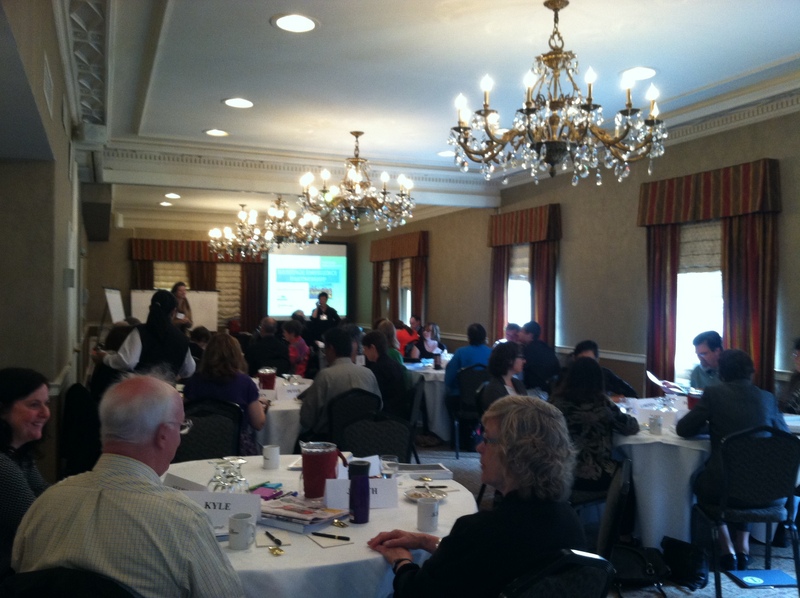 Since the Forum there have been two WESTPAS workshops in Colorado and both have been well attended. The partnerships that are in their infancy will need additional coordinated nurturing and it will be up to the Advisory Committee to come up with some creative ways to continue raising the profile of disaster planning and response in the Denver metro area. Disasters like the Four Mile canyon fire in the Boulder area over Labor Day weekend offer compelling, immediate opportunities to raise awareness and may be useful in spurring institutions to action—with the right promotion.